An addition to the SAS lineup is the Ciena CN 5150, offering high-density Ethernet aggregation capabilities perfect for your metro network. Power up your deliverability with a scalable solution that supports a broad range of carrier, enterprise and consumer Ethernet services, without scaling up your costs. The Ciena CN 5150 offers high-capacity switching fabric supporting 1G to 10G aggregation to help you best manage your network. It supports diverse system architecture and topologies so you can design an end-to-end offering as you need it. Build however best suits your equipment and your customers with this model’s 48 100M/GbE UNI ports. Give your network access to Ciena’s proven service-aware OS that supports carrier Ethernet OAM and provides high-reliability services to minimize your OpEx. 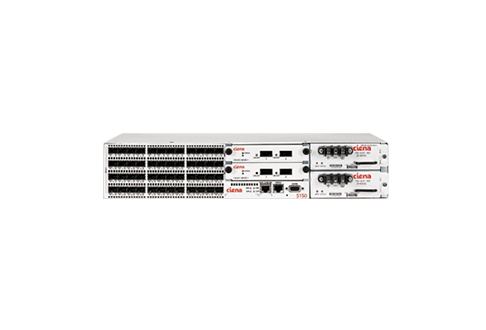 Worldwide Supply offers a line of new, used and refurbished Ciena CN 5150 units made to work in indoor and outdoor cabinets, with a focus on metro networks. Each model is designed to bring your profitable deployments of Ethernet services from E-Line and E-LAN for businesses to mobile backhaul services, consumer triple-plays and Layer 2 access to IP services. With a 2RU size, the Ciena CN 5150 packs high-density Ethernet aggregation into a reliable unit that can be deployed where you need it. Browse below to see how much you’ll improve your network and save with a reliable, used Ciena CN 5150 from Worldwide Supply.